St Edmunds Jawahar Nagar organized Economics workshop on 9th October in association with True friend publication. Teachers from various schools participated in the Economics workshop. The session was addressed by the eminent speaker and scholar Sh. J.P.Goel Associate professor, Head of the Department of Economics, Hindu post-graduate college Sonipat Haryana. (Apart from a prof. he is also a former member of “Economics Studies” at Maharishi Dayanand University). The seminar aspired to cast light on recent changes in CBSE syllabus like project work, deliberation on critical and augmentative topics like consumer equilibrium, production function in microeconomics, National income, Income determination in Macroeconomics. Queries of the teachers were elucidated and they thanked St. Edmund’s school and true friend publication for the workshop. Dr N.D Mathur (Head, Department of Economics Manipal University ) was felicitated for his unabated support and contribution towards the enrichment of the Economics subject and its teaching pedagogies. 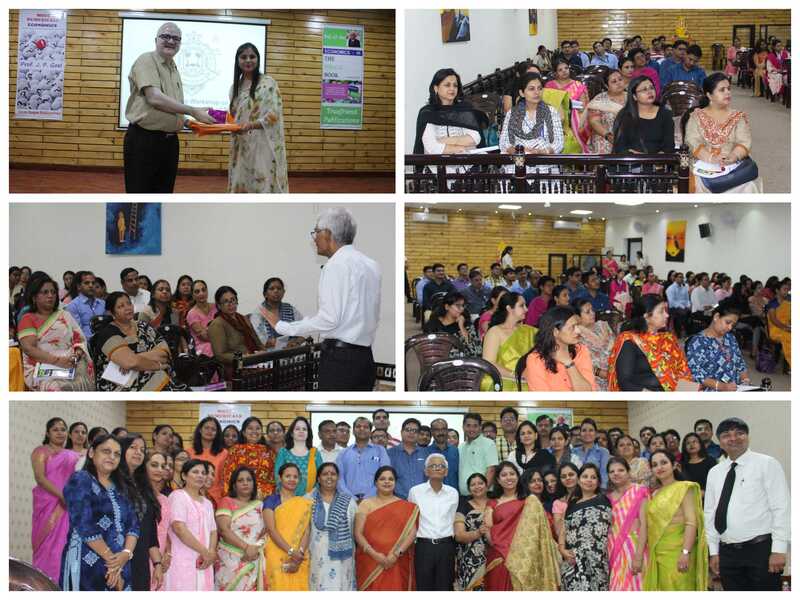 Lastly, Mrs Anu Bhatia expressed her warm appreciation to the teachers and members of Truefriend publication as it was a fruitful session for all the faculty who attended the event.